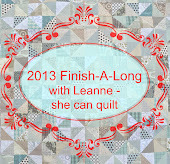 This Finish A-Long tradition was begun last year by Rhonda of Quilter in the Gap and is being hosted this year by Leanne of She Can Quilt. Essentially it's a forum for keeping up on one's own and others' crafting goals for the next 3 months. What are you going to put out there to the world and say, "THIS IS going to be complete next time we meet again!"? And by complete, they really mean completed! So, here is my list for the next few months. And perhaps there will even be other projects sneaking in before the end of the quarter... but I certainly don't want to get ahead of myself (as it is, I am already wondering if I am up to all of the basting and quilting I've set myself up for). 1.) Power through the stack of pot holders I have going. I currently have 12 pairs in progress. 2.) Mystery wall-hanging project... stay tuned! 4.) And maybe the warmer russet one as well?? 7.) This one is a bit more amorphous... among my goals is to successfully "print up" a pattern or two from my own designs. Skill-building at its core! Okay, if I'm to have any hope at all of getting through this list I suppose I ought to wrap up this post and get to the sewing machine! Good luck to all of my fellow quilters in your endeavors this year! I look forward to seeing all of the beauties y'all produce that offer me so much inspiration every day! 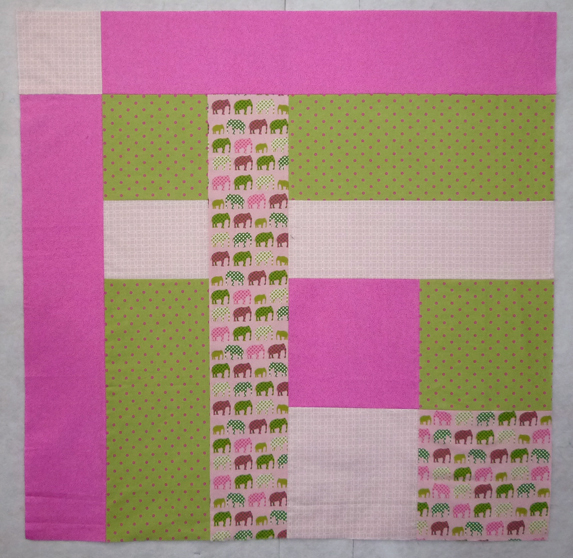 The bee blocks are back!